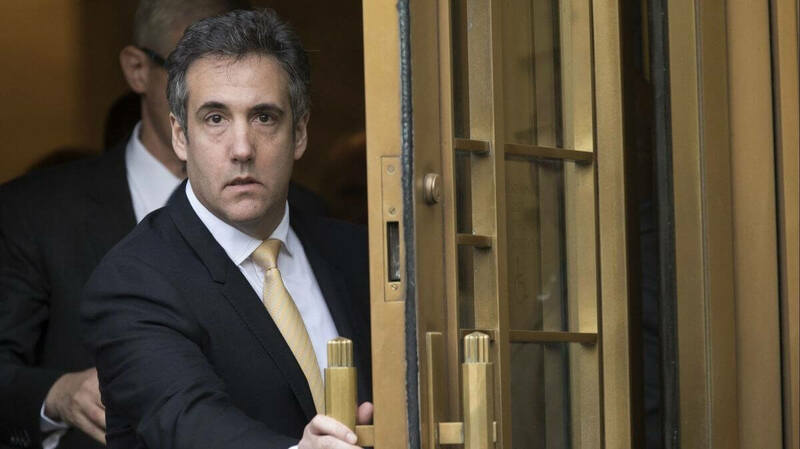 Cohen, the former fixer and personal attorney for President Trump, has been convicted on several charges of fraud and lying to Congress. To obtain evidence for these convictions, the FBI surveilled almost every aspect of his digital life. This week, almost 1,000 pages of search warrant applications were unsealed giving new details to what information the FBI had access to. They are available in eight separate exhibits: Part 1, Part 2, Part 3, Part 4, Part 5, Part 6, Part 7, and Part 8. Some portions of the document are redacted, but they show that Mueller was watching Cohen more than a year before he was charged. In addition to standard channels like email and GPS data, the FBI was also authorized to unlock Cohen's mobile devices using his body. They were allowed "to press the fingers of the user of the Subject Devices to the devices' Touch ID sensor, or hold the Subject Devices in front of the user's face to activate the Face ID sensor, in an attempt to unlock the devices for the purpose of executing the search authorization by this warrant." This is a relatively new area and the legality of these searches is still in question. Privacy advocates worry about violations of the Fourth and Fifth Amendments, while law enforcement officials see it as an avenue to get useful information when a subject is not cooperating. In Cohen's case, the warrant stated that it was necessary to force him to unlock his phone because "the government may not otherwise be able to access the data." The documents also show that law enforcement officials used the infamous Stingray triggerfish device to track Cohen's precise location. The case against Cohen was not just confined to the United States. Investigators in the Southern District of New York tried to obtain information on Cohen from Google, but this request was initially denied since some of the data was stored on overseas servers. During the investigation, the CLOUD Act was passed which allowed such overseas data to be obtained in some scenarios. Law enforcement officials went back to Google with an updated warrant and were able to obtain the information they wanted. So against gps tracking you could just jam it with putting phone in aleminium... UPS or just pull of many electric tings on like mc gyver and hope they give up. last resort put it inside a swinning suit and trow it out with a rope. when the see some tracing down on the will tink they have some faulty systems and just restart. you just say you played a new fishing game that need to dive phone up and down. LOL BIG SIGN GONE FISHING!! Thank you fringe left for this new precedent. Your quest to unseat Trump has brought the country to a new low. mbalensiefer, JamesSWD, dms96960 and 3 others like this. urbanman2004, Charles Olson, PEnnn and 3 others like this. I hate to break it to you but both parties are just different flavors of fascism, and your statement had no polemic relevance to JustSomeone's take on things. Statism is statism. If you're chasing Skycloth you've already lost any moral or intellectual high ground. dms96960, m3tavision and xxLCxx like this. "Fascism (/ˈfæʃɪzəm/) is a form of radical, right-wing, authoritarian ultranationalism"
urbanman2004, Charles Olson and iamcts like this. ...quotes leftist and propaganda machine Wikipedia for definition of fascism. Try Miriam-Webster genius. dms96960 and JaredTheDragon like this. They'll stop at nothing, even change laws, the courts, electoral college just to grab back power. A disgrace to our democracy. mbalensiefer, JamesSWD, dms96960 and 2 others like this. That which is admitted without evidence can be dismissed without evidence. I always find it funny how quickly some will dismiss sources they don't agree with while giving zero supporting evidence. It's easier to reject someone's source when you can just use your feelings as facts. urbanman2004, Evernessince and m3tavision like this. The Mueller investigation's goal was never to unseat Trump. Read the mandate. He is mandated to find crimes and to prosecute them, or hand them off to the DoJ if it falls outside of his scope - which he has done every single time so far. If Trump touts "LAW AND ORDER" then he should be for finding and prosecuting people who committed crimes, even if they were part of his campaign. Fox News made it into a "witch hunt" by fear-mongering, lying, and letting political figures come onto their shows to shape public perception into something that isn't actual reality. I await your "but her e-mails" reply. Is it not the job of the FBI to catch criminals? Be it Nixon, Hilary, Trump who cares, if they commit a crime get em! Surprisingly Trump said he would not investigate Hilary after being elected... I'm not a fan of either but I wanted to see how it would turn out. Another fake news lemming. If you don't tell the whole truth, then you have an agenda and spreading fake news. As such, if you don't know the real meaning of "Fascism" or "fascist" then spreading half truth means you are a lemming spreading fake news because of an agenda. What si worse, is that if you do know the real meaning and yet keep faking it... then that means you are unpatriotic and against this COuntry and wishing for it's demise. You sound like a Russian sh!ll when you use the term fascist, because we have ruling bodies, not a dictator. urbanman2004, Evernessince and treetops like this. Yeah I hate when people say fascist, nazi, communist etc. We are nowhere near any of that. But it's sad that both major parties can accept all the legal bribes they want via lobbying. Campaign contributions should be limited to 5k per person. Lobbying illegal. m3tavision and MilwaukeeMike like this. No - he's right... there's a big difference between looking in the phone of a dead person who just committed a mass shooting (the case in CA that started this debate) and having to give up your entire digital life while being investigated for crimes they're trying to find. The quest to unseat Trump HAS brought this country to a new low. Here's what's changed. In the past investigations started with a crime and in trying to solve the crime, suspects were investigated. Now - when the FBI doesn't like someone they start an investigation and look for a crime. Trump's Russian 'Collusion' started with a fake document. The investigation that resulted from that has spread to many people and gone on for over TWO years. They did the same thing here in WI - they accused the Governor of a crime (with no evidence) and they collected every email and communication ever sent by him and members of his party while 'investigating' to make sure there wasn't a crime. The goal was to collect donor information and gain a political advantage. It works better for political pot-shots, but it's pretty easy to see through. m3tavision and dms96960 like this. You're just regurgitating Fox News talking points. Try thinking for yourself instead of believing everything that comes across your TV's screen. The spin that Fox News put on stuff is not reality. They're an entertainment channel - not actual news. Also, nothing in the Steele dossier has been proven false, so it's clearly not a fake document. Plus, the investigation was started after Trump fired Comey for not lifting the investigation into Michael Flynn, who had numerous contacts with Russian agents during the Trump campaign and transition. Fox is as brainless as MSNBC, both only take a sparse amount of common sense to see past their noise. But try again for what? There's no need to try to prove it's true or false. Ask yourself this... if it were real and Trump colluded with Russians to sabotage the election, what would have happened after that document came out? A trial? an indictment? impeachment proceedings? At least maybe some more evidence, right? And if they weren't true, or at least not able to be corroborated, then what would have happened? more investigations? complete silence on the results of the report that was supposed to find the evidence? Investigations of everyone near Trump so they can get someone to turn on him to save their own skin? If that document is true and Trump colluded with the Russians to sabotage the election then I'll be calling for his impeachment too. But instead we have texts from FBI agents saying they have to 'do whatever it takes' to get rid of Trump. Hence the point - "the quest to unseat Trump as brought this country to a new low." Do you know the FBI got busted planting a story to the press to justify an investigation? They wanted to get a FISA warrant for Carter Page (Trump's adviser), so they leaked a story to the press about him so they could use those news stories as reasons to open an investigation. They are fishing for crimes, and that should scare you. that should scare you because when the American public sees the big strong government rig the system against an 'underdog' (like say when Bill Clinton met Loretta Lynch on her airplane) they respond by voting for that underdog. And we don't want another 4 years of a child in the white house. mbalensiefer and dms96960 like this. You're still using Fox News talking points as your reasoning - that does not work. The Inspector General of the FBI already cleared Peter Struzk and Lisa Page. They said there was no action -- at all -- taken by them. It's a free country - can FBI agents not criticize the government they work for? Also, have you read ANY of the court filings at all? If you have, then you wouldn't be saying what you're saying. Show me in the court filings or any proof of what you're saying. The FBI wasn't "busted" for planting a story. He has been under surveillance by the FBI many times for his communications with Russian officials. He was already busted once for being in some spy ring. If there were ANY question that Russia infiltrated any level of staff in the Whitehouse, would you not want it investigated? If Clinton had won the presidency, and this same scenario was playing out, you would absolutely be losing your mind right now - guaranteed. But since it's "your guy" it doesn't matter? Show some patriotism instead of partisanship. mbalensiefer and warLoc like this. Ah, yes. Actually reading the indictments and following the scandal through the court filings makes me a CNN guy. I don't need any political spin on anything when I get it directly from the prosecutors themselves. People should try it instead of being spoon-fed a spun story that is far from the truth. Wait, I was applauding Milwaukee as I read his post. It almost mirrors my experience as a 49 year old from Michigan. I don't watch news channels so how am I (or am I now...) regurgitating "Fox News talk points." ? And given what I just quoted, I am not even sure you being honest with yourself here. Not to mention offensive, because you are outright trying to use misstruths, or lies. That I or nobody else would accept. Why would anyone have a docket that said the hookers were paid to pee on a bed, etc.. etc.. and not investigating that document? Let alone... who is Steele and why would the FBI blindly believe anything he compiled? James Comey & Other's will now be going to prison, because what they did to this Democracy, it is beyond full dERP! If the narrative you're believing is based on political spin you've watched on TV, or read online, then you can't claim that I'm using "misstruths." Read the actual court filings and get the complete unbiased story without political spin like I do. The FBI did question Steele - so your second paragraph is already based on assumptions that have been already looked into. James Comey won't be going to prison. He did nothing wrong. He's not being investigated at all. Getting fired by the president doesn't automatically make you go to jail, nor does doing your job to investigate claims that may or may not be true. That's why it's called investigating. Searching for the facts and truth doesn't make you a criminal. Also, I'm not claiming to be an expert on this story, but I have been following it closely because I just straight up find it fascinating and unprecedented. Not even Nixon or Bill Clinton had this many scandals to keep track of. Sorry youngster, that^ is just untrue. Secondly, I don't watch television... I run a household, have a career and simply don't have time for Television. But what is surprising is that I have already pointed out your misstruths and instead, you are doubling down and now steadfast on lying even more..? Q: Where is your source, that the FBI investigated Steele Dossier..? Who told you that..? A: Nobody told you that...! Thirdly, Yes Jim Comey and others will be goiong to jail, because they lied during their testimony to Congress & DOJ officials. Ironically, the same crime Flynn is accused of doing. And yes... the Steele Dossier is fake. No stories within it are true, it's been on buzzfeed for years now, and Even Steele himself won't stand behind any of the information he compiled within it. The guy who wrote the Dossier says its fake, yet FBI used it to open an investigation into American Citizen = A bunch of People are going to jail. You're asking me for a source while you're making up lies and unsubstantiated claims. Keep watching that Fox News. 10/10, would argue with a troll again. Now the Mueller report is out and he says there's no evidence of any collusion with Russia. That means they can't even say there was a crime! This comes in direct conflict with the Steele document. We now have a 2 year investigation that found no evidence, which means that Steele document that the Clinton's paid for has no substance. If it did, the Mueller investigation would have found something. You can keep on that 'It's only Fox' defense, but every single news station has the same story. Watch now how they'll re-direct the focus onto the question of 'Did Trump obstruct justice?' so we can quickly move on from the fact that they haven't got anything on him yet. I'm not sure the Dems could do anything more to help him get re-elected. The bummer is Trump has so much about him that makes him un-likable - even his policies aren't good (Tariffs? C'mon!). If the Dems don't get over this delusional Trump-hate thing they've got going on, we're gonna get stuck with him again.